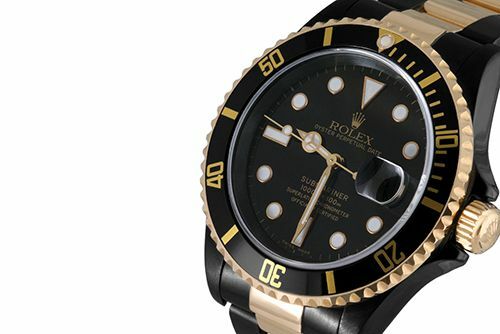 Time and Gems – friend of Fratellowatches – proudly introduces the first Black Gold Rolex watches. Stainless steel (904L) and 18ct gold Rolex watches have been coated with Time and Gem’s ultra hard scratch resistant PVD. For now, Time and Gems re-worked the Submariner and the Daytona, both iconic time pieces for the Giant from Geneva. Below you can see the introduction video by Time and Gems, presenting the Black Gold Sub and Black Gold Daytona. The deep black on these watches, in combination with the 18 carat yellow gold is simply stunning. Price are unknown yet. Keep an eye on the Time and Gems blog for more information.